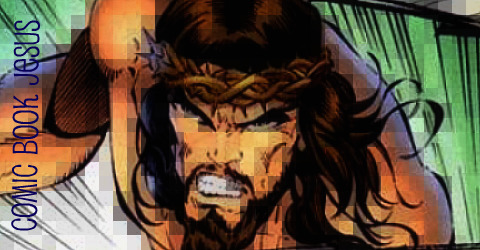 Mark Waid (KIngdom Come, and a whole lotta other stuff) is one of my favourite writers. Marcos Martin is a great artist responsible for Batgirl: Year One (the mini that the topic of our last podcast, Chuck Dixon, wrote). 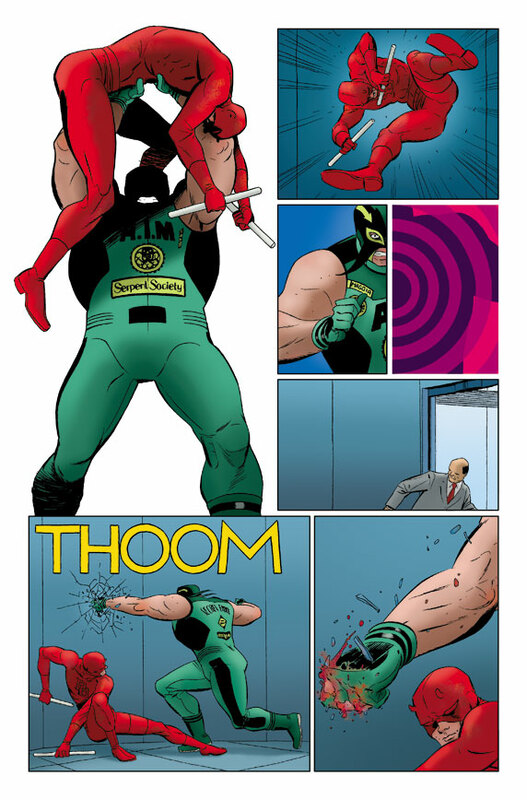 Together they create stuff like this, as seen in the text-free pages below of this month’s ish of Daredevil. Martin has a real flair for lively, ’60s trippy kinda art. 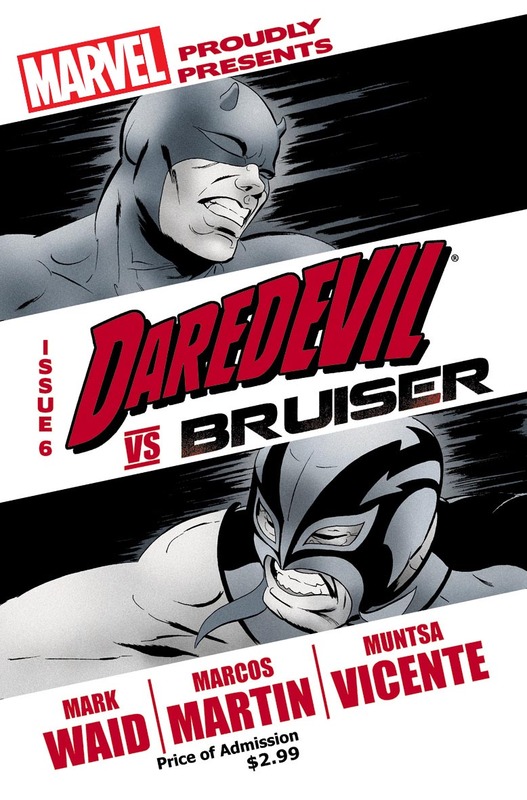 It’s Daredevil vs. the Bruiser: Round One, as Marvel is pleased to present your first look at Daredevil #6! From the critically acclaimed creative team of Mark Waid and Marcos Martin, Daredevil must go head to head against a contract fighter who can’t be put down and is making Matt’s life a living nightmare. 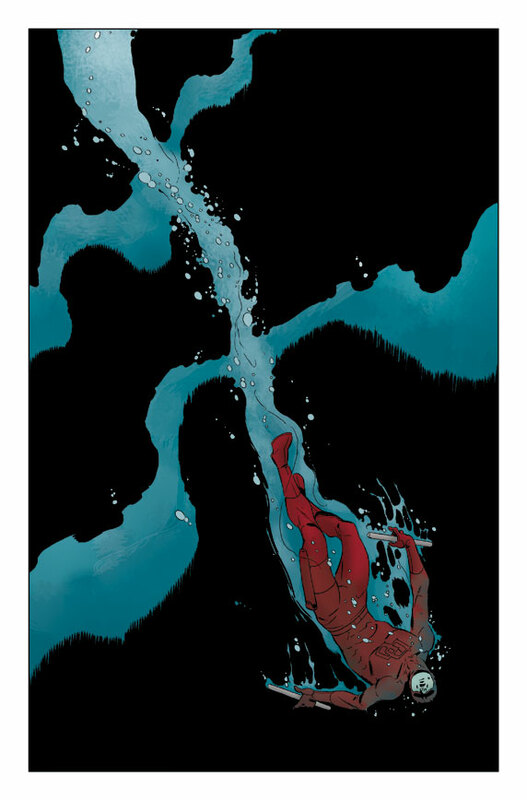 How Daredevil survives, you’ll have to read to find out.. but the result makes him the most dangerous man in the Marvel Universe. Get in on the action this November in Daredevil #6! Looks pretty awesome. Just wondering though, do previews normally not have dialogue? Excuse my ignorance. 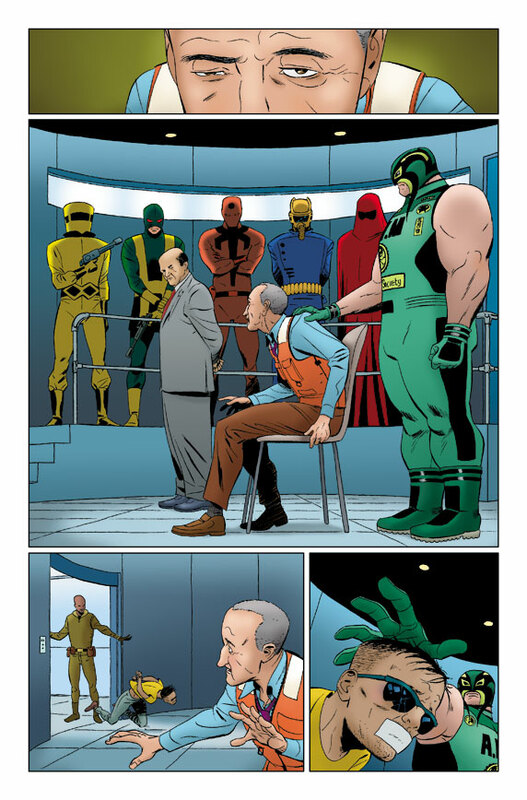 Marvel usually only give text-free previews, but most other publishers release previews with dialogue and captions. Maybe Marvel don’t want spoilers in their previews.